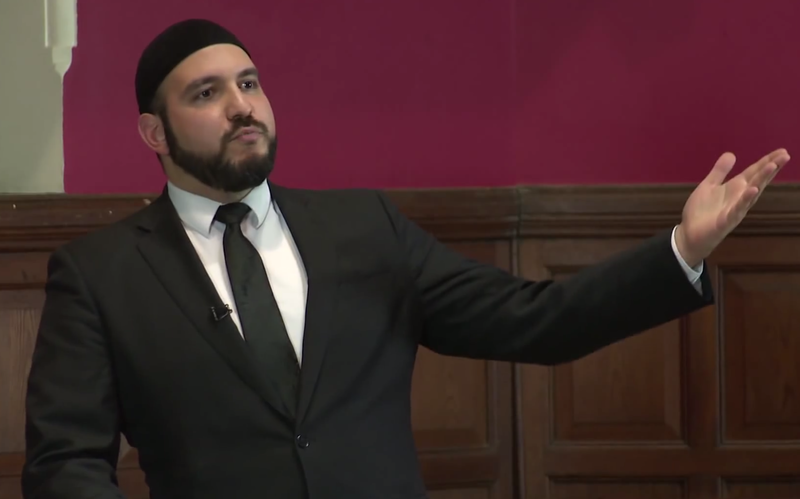 As I opined in my opening statement, although the question behind the debate may have a obvious answer to many Muslims, like many debates on the existence of God with Atheists, or the Prophethood of Muhammed (saaw) with Christians – obvious questions are always useful to help renew one’s convictions and deepen ones understandings about one’s own beliefs. I was honoured to be joined on the panel by three highly esteemed academics, Professor Oliver Scharbrodt, Director of Chester Centre of Islamic Studies, Safaruk Chowdhury, published author, Theologian and Academic and Professor Robert Gleave, Director of Islamic Reformulation Project, University of Exeter. It was an excellent discussion, conducted respectfully, with depth of knowledge – plus debating academics who studied Islam meant I didn’t have to translate the technical Arabic words I used for jurisprudential terms. It was my favourite style of debate, intellectual, measured and with considered points being made. The debate was beneficially quite different to previous debates in the angles being debated and discussed (which is why multiple debates on a topic are always useful). The main and simple argument used to show that Islam doesn’t need reform, is quite simply that Islam and Islamic law has always been able to easily expand to deal with new situations brought about by technology and culture, without needing to change its fundamental prescriptions and laws. I made the simple point that people still commit theft today, like they did 1,400 years ago – why should we abolish the law prohibiting theft? Indeed, considering that the Islamic Caliphate in the 8th-9th century spanned a area of land that took many months to traverse simply to get to one end, applying Islamic laws and ideas in the modern world would actually be much easier. This is no different to how ‘Democracy’ is thought of by the West as a ‘modern’ system, despite it being 1,000 years older than the time of Prophet Muhammed (saaw). Two of the academics approached Islam from a historical perspective, and argued that Islam was a historical phenomena, that has always been changing due to mujadideen (‘renewers’) which they claimed could equally mean ‘reformers’, and therefore ‘reformation’ is not a new phenomenon. They also argued that ‘modern interpretations’ of Islam exist and are equal in value to other interpretations. Saf and myself argued that Islam have never underwent changes. The Mujadideen were merely restorers who never brought anything new, but re-emphasised that which was already part of Islam, but forgotten or neglected. Saf criticised ‘modernism’ for its invalid methodology in interpreting Islamic texts, while I made the point that modernists do not interpret Islamic texts, but follow interpretations of Secular Liberalism and its sub-sects (like Feminism), and attempt to ‘read them into’ Islamic texts. This is not exegesis (letting the text speak for itself), but eisegesis (putting in favoured meanings into the words used in a text, not defined by the text itself). These were two of the central issues in the debate, but the rest of the debate had too many interesting points to list (without writing a transcript in the process). However, it was fortuitous that the debate was live-streamed, and I’m told that a HD copy will be published soon Inshallah. Well done to the organisers, and to the audience for the well thought-out and succinct questions and comments they made during the Q/A session. Masha Allaah,can’t wait to watch the Video in sha Allaah.May Allaah give you barakaat for your efforts akhy.